The Union government is planning to conduct a feasibility study for the Rs 23,000 crore road connectivity between India and Sri Lanka, which the centre is proposing. Union Minister for Road Transport, Highways and Shipping Nitin Gadkari today said that the Government is considering to establish road connectivity between India and Sri Lanka. He was speaking after laying foundation stones of the National Highway projects in Madurai and at Suchindram in Kanyakumari district today. The Government is planning a big flyover connecting Rameshwaram to Sri Lanka has to be constructed. adkari said he had already held discussions with the Chairman of Asian Development Bank in this regard and the Bank is ready to finance it. The Minister said this project is a part of Prime Minister NarendraModi's vision of provisioning of road connectivity to neighbouring countries. Minister laid foundation stones for ten road development projects for Tamil Nadu worth Rs 3,000 crore. 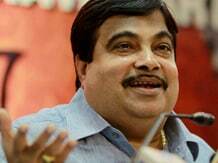 Gadkari announced that the work on the multi-croreColachel International Transshipment terminal will begin soon. He also stated that the feasibility study on the project, which will provide a fillip to the economy of the state, has already been completed. Tamil Nadu Chief Minister Jayalalitha has assured that the state would extend full support to the project, he added. The Union Minister also announced Rs 10,000 croreworth new road projects for Tamil Nadu for the current financial year and said the Centre would sanction 571 kms of new highways in the state under the Bharat Mala project connecting district headquarters with existing National Highways. Besides, 81 kms road would be developed under the project connecting places of religious tourism. He said the four- lane work of Kanyakumari to Kerala border in the National Highway 47 would be taken up this year itself with a total outlay of Rs 850 crore. Farmers would be provided compensation as per the provisions of the new Land Acquisition Act. Stating that land acquisition is a major hurdle for road development, he pointed out that the Centre is ready to give Rs 1,000 crore to neighbouring Kerala. But land is a major problem there. He pointed out that in such a situation the potential of water transport must be harnessed to the maximum.